Physician assistants (PAs) practice medicine under the direction of physicians and surgeons. They are formally trained to examine patients, diagnose injuries and illnesses, and provide treatment. Working as members of the health care team, PAs take medical histories, examine and treat patients, order and interpret laboratory tests and X-rays, make diagnoses, and prescribe medications. They also treat minor injuries by suturing, splinting and casting. PAs record progress notes, instruct and counsel patients, and order or carry out therapy. Physician assistants work in physicians' offices, hospitals and other health care settings. Most work full time. 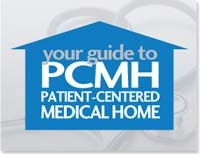 Many PAs work in primary care areas, such as family medicine, general internal medicine and pediatrics. Others work in specialty areas, such as general and thoracic surgery, emergency medicine, orthopedics, and geriatrics. PAs specializing in surgery provide preoperative and postoperative care and may work as first or second assistants during major surgery. PAs also may supervise technicians and assistants. The duties of physician assistants are determined by the supervising physician and state law. For example, in most of the U.S. and the District of Columbia, physician assistants are licensed to prescribe medications. Physician assistants should not be confused with medical assistants, who perform clinical and administrative clerical tasks. Nitza Glick, PA-C, has been in the medical profession for over 25 years. She grew up outside of Boston and went to undergraduate school at The University of Massachusetts at Amherst. She then worked in Boston doing clinical research until relocating to Chicago Illinois to enter the Physician Assistant program at Cook County hospital. She has called Flagstaff home since 1997. Kathy Barth, PA-C, graduated from Towson University, Towson, Maryland with a Masters in Science as a physician assistant. She also has an Education Master’s degree from SUNY at Buffalo and a Bachelor degree in Music from ASU. Kathy has worked as a teacher and managed continuing medical education departments for two medical specialty societies in the Baltimore/Washington, DC area. She has practiced medicine in rural Nebraska and at a community health center in Flagstaff. Kathy enjoys seeing all ages in family practice from 2 years old and up. Elysia Small, PA-C graduated from the University of Florida, Gainesville, FL in 2007 with a bachelor’s degree in Nutrition and a minor in Japanese Language and Literature. She has several years of experience as a Rehab Tech and CNA. She has volunteered in many capacities including as a nursing home activities volunteer and as a mentor through Big Brothers Big Sisters. She graduated in 2016 with a Master of Science in Physician Assistant Studies from A.T. Still University in Mesa, AZ and recently moved to Flagstaff, AZ to join the team at Flagstaff Family Care. She enjoys working with all ages including children. During her free time, Elysia enjoys many outdoor activities including hiking, rock climbing, caving, and canyoneering. She also enjoys an occasional artistic endeavor and spending time with family and friends. Austin Grace, PA-C, graduated from the University of Notre Dame with a dual degree in English Literature and Political Science. He recently completed his Physician Assistant education at the University of New Mexico School of Medicine in Albuquerque. Prior to PA school he worked as an Orthopedic Technician at UNM Hospital and volunteered with Albuquerque Healthcare for the Homeless. He recently relocated to Flagstaff to join Flagstaff Family Care and is looking forward to serving the medical needs of the community while also enjoying all of the outdoor recreation activities in the area with his wife and their dogs. Karen Damgaard, PA-C is a Flagstaff native. Born and raised in Flagstaff, she has always returned because she considers Flagstaff home. Karen earned a Bachelor of Fine Arts degree in Graphic Design from the University of the Pacific in Stockton, California. She later went to earn a Bachelor of Science degree in Zoology with a minor in Pre-med studies and Chemistry at Northern Arizona University. Prior to earning her Masters degree in Physician Assistant Studies at Idaho State University in Pocatello, Idaho, Karen worked for several years as a medical assistant in several private practices settings as well as a community health care facility. As a PA, Karen has spent the last 10 years serving the medical needs of the uninsured, underinsured, and privately insured people of Northern Arizona by continuing her work in a community health care center. She is excited to join the team at Flagstaff Family Care and looks forward to the challenges that lie ahead. Karen enjoys the field of family medicine because it allows her to practice medicine in a wide variety of areas while interacting with patients of all ages. Her greatest reward from practicing medicine is learning from her patients and watching them achieve optimal health. In her spare time, Karen enjoys spending time outdoors and training for half-marathons, marathons and century bike rides. She also enjoys traveling, reading a good book and relaxing with her family, friends and dog.